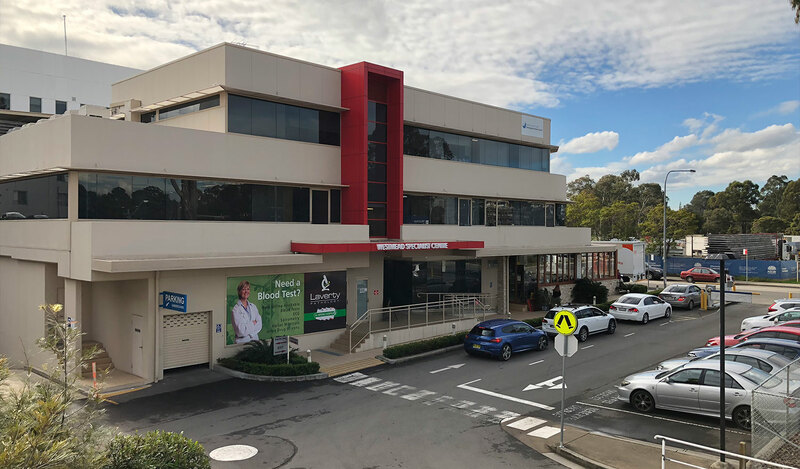 The Westmead Specialist Centre is on the Westmead Private Hospital campus. Enter the Westmead Private Hospital Carpark off Mons Road. Entry to the Westmead Specialist Centre is adjacent the ground floor cafe. Take the lift to Level 1. The Spine Centre is Suite 10. Patients can be dropped off on Mons Road, directly outside the Specialist Centre. Pay-parking is available on-site in the Westmead Private Hospital carpark. Westmead train station is a 1.1km (approximately 15 minute) walk from the Westmead Specialist Centre.